The second day of shooting. 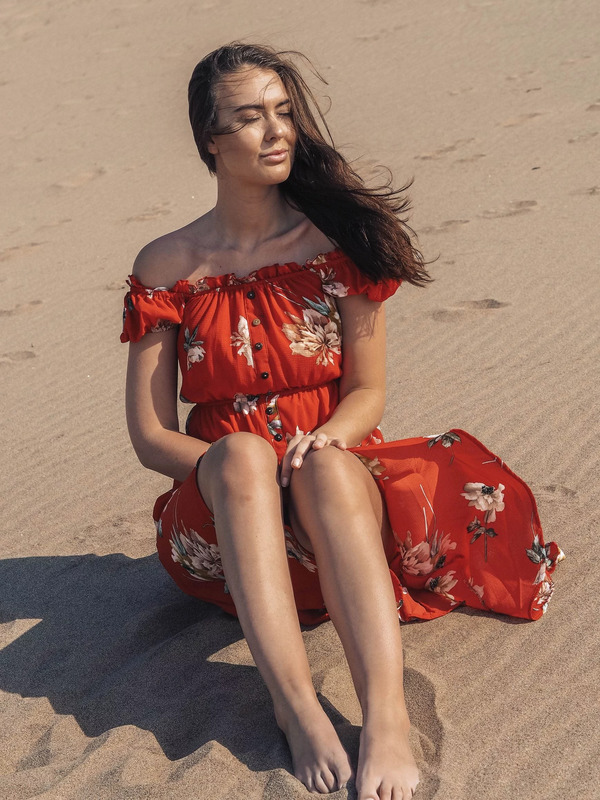 After that long beautiful walk at the beach the day before I decided to go back to some of the places to take some photos, it was a big dune place that looked like the desert and I had a dress that was perfect for that. It was so much fun!! After a couple of hours of shooting ( again, lol) we went to the beach. I decided to go all out today to try to get some color so I was in the sun for two hours. I am not a big fan of tanning and since we got lots of cancer in the family I am always very careful and I don´t really tan, but I did use SPF 50, so I should be good. Still got a nice golden tan! #ThankyouJamaicanPart. Do you also get tan quickly?